The refit of the Village Hall kitchen is now complete and looks jolly good. We would like to thank all those people who rallied to the call to raise funds to make it happen!! Village Hall Jumble Sale held on Saturday 19th January raises £560 to go towards much needed improvements to the hall. Well done! Caroline and the team of helpers. The organisers of Trunchonbury donated £3000 from the profits of the successful Music Festival to the village. The Trunch Village Society and Village Hall Management Committee gratefully thank the organisers especially Karen and Steve Randell. The reconstruction of the Playing Field car park is now complete. You will see that steel posts have been fitted 3 metres apart such that vehicles can go through but large vans should be prevented from swinging round and destroying the surface. The posts are removable to enable grass cutting and maintenance machinery to gain access. The 2nd phase of the building of six more affordable homes by Broadlands in Fullers Lane is complete. This will make a total 18 new homes and the y were officially opened on 5th April. 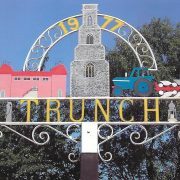 We welcome all the new residents and hope that they will enjoy living in Trunch. There were nine Nominations received from prospective candidates before the deadline. 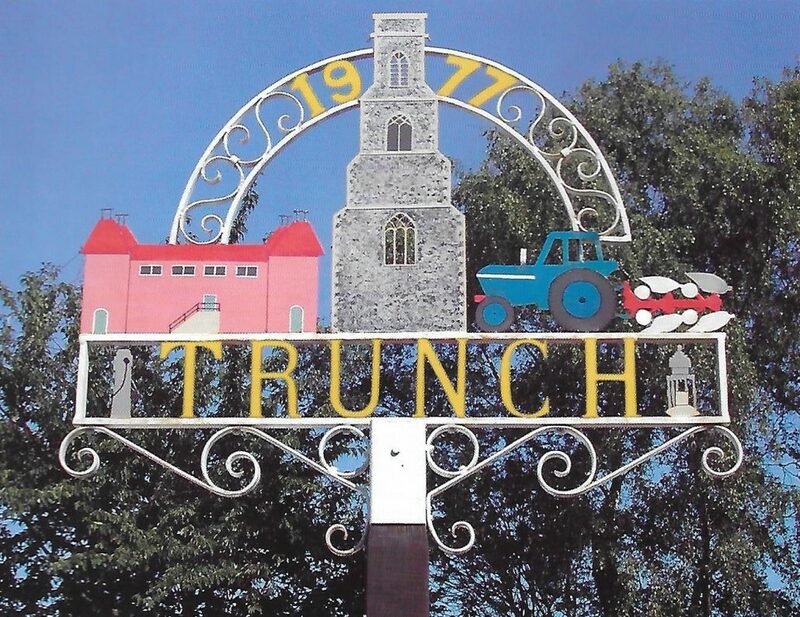 There are eleven Councillor positions on the Trunch Parish Council so the Election will be uncontested and the following persons will be appointed – Brian Boughton,Gloria Green, Nick Hurst, Richard Nevill, Carole Owers, John Spencer, Paul Taylor, Michael Tyler and Shirley Wild. There are two casuals vacancies to be advertised after May 8th.